Since last year when I'm busy preparing for our wedding, I'm fascinated on how everything is possible using Adobe Photoshop. 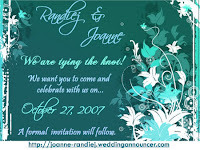 Inspired, I even made a "Save The Date" magnets for our wedding (Background c/o Shutterstock). I played around with the colors (hue adjustments) so I can achieve our color motiff. I even consider on taking a short course as well for Adobe Photoshop...hehehe. Then, I was introduced to Digital Scrapbooking. I've read a lot of infos about it thru former W@Wie members (most of them are now N@Wies). 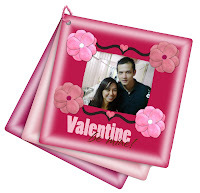 I subscribed as a member to some digital scrapbooking sites so I could have a free kits that I can used in the future.